The reason we’re a little disappointed in the Moshi ionbank 5K is that it has a magnetic flap that hides those cables, but couldn’t it have been used to also act as a prop for a phone? With that kind of feature on board it would have been an unbeatable accessory for taking on a plane – especially with the gadget ban on laptops and tablets. Are we being overly-critical? Probably; the combining of an Apple Lightning and a USB cable inside the battery package itself is a first, and a highly impressive design. 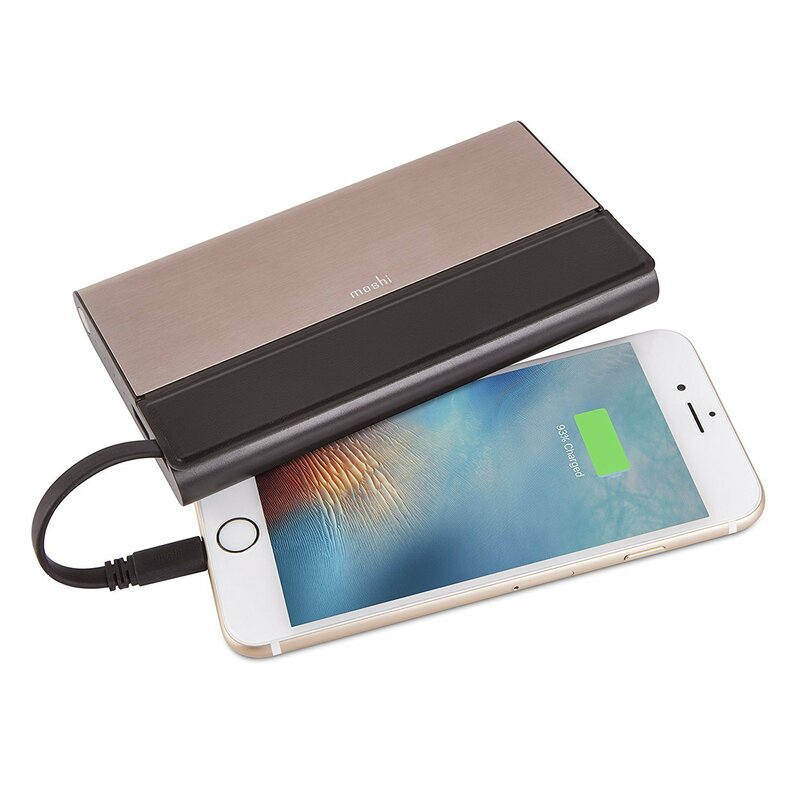 The ability to travel with a battery and no cables is an absolute boon (it’s also got a second USB outlet for recharging two phones at once if you do have a cable), but a portable battery of this high price should leave no stone unturned.